Any school is only as good as its staff. 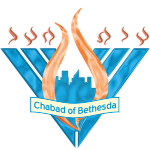 Chabad Bethesda Hebrew School prides itself in carefully selecting teachers who are as excited about teaching as our children are about learning. Our staff is known for their broad knowledge of Judaism, dedication to children, and experience in teaching.